21st century researchers and practitioners continue to document that too many of our children are still growing up without the benefit of both of their parents. Various data sources, including the U. S. Census and the National Fatherhood Initiative, have documented the incidence of the impact of both parents not being “present” in the lives of too many of our children. Another contributor to the discussion is The Annie E. Casey Foundation, which has reported that 25 million or 35% of the country’s children were living in single parent households. In addition to an increase in the percentage of these youth, data shows that these children are more likely to have a tougher time than their peers with two parents within the same household. Philadelphia, home to the Commission, had statistics that were generally consistently higher than its state, (Pennsylvania). For example, children who live in Single-Parent Families represented 60% (195,000) of the child population, as opposed to children throughout Pennsylvania that represented 35% (905,000) of the child population; children living with neither of their Parents represent 25,000 or 7% of the children. The number throughout the state is 131,000 children living with neither of their parents or 5% of the children; grandchildren in the Care of Grandparents total 24,000 or 7% of Philadelphia’s children, while Pennsylvania numbers total 98,000 or 4% of the population. Another 4% of children or 103,000 of Pennsylvania’s children live in kinship care situations; and children living with Cohabiting Domestic Partners represented equally 9% of the population, notwithstanding whether you are talking about Philadelphia or Pennsylvania. According to the National Fatherhood Initiative, the phenomenon, referred to as the "Father Absence Factor," is associated with a broad array of social issues facing American society today. As stated by David Hansell, Principal Deputy Assistant Secretary, U.S. Department of Health and Human Services (HHS), Administration for Children and Families (ACF) before the U.S. House Committee on Ways and Means on April 29, 2011, the conundrum is that social service programs and systems dedicated to meeting the needs of children are not, and never were, designed or organized, to maximize fathers’ contributions to their children’s well-being. Consequently, these systems of care are typically not including fathers as resources essential to ensuring the safety, permanency, and well-being of children. As a result, too many children are not being fully served and provided access to important developmental resources. 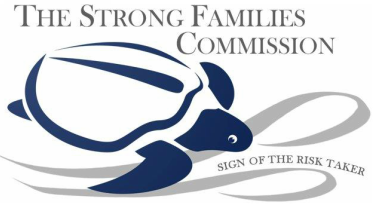 The Strong Families Commission, Incorporated (“THE COMMISSION”), a Philadelphia-based organization was organized in response to the growing number of children in Philadelphia who are living in households without an adult male or father. The literature is clear “Fathers and Men in Families represent one of the most important resources for children’s well-being.” See Patrice L. Engle (1997). In Philadelphia alone, at the time of this writing, over 8,000 children have had contact with the foster care system during this year, and one hundred percent (100%) of them had been abused, neglected, or abandoned. Currently, there are approximately 6,100 children in Philadelphia’s foster care and/or family court systems of care. ​In 2014, Dr. Rufus Sylvester Lynch, ACSW, NASW Social Work Pioneer ® and Senior Fellow at the Stoneleigh Foundation, spearheaded the creation of The Strong Families Commission, Incorporated (THE COMMISSION) that emanated from Lynch’s collaborative work, beginning in 2011, with the Administration for Children and Families, Region III, U.S. Department of Health and Human Services. An outcome of the collaboration was the formation of the Philadelphia Strong Families Coalition (PSFC), consisting of twenty-six Philadelphia Stakeholders of Child Well-Being, which Lynch chaired as a part of his Stoneleigh Foundation Father Integration project design. PSFC’s final product was the Report, Child Well-Being in Philadelphia: Profiles on Children, Families, & Fathers http://stoneleighfoundation.org/content/child-well-being-philadelphia-profiles-children-families-fathers. The primary purpose for the development of THE COMMISSION was to create an entity that would function to sustain the Fellowship work began by Lynch that supported children, youth, and family focused agencies concerned with strengthening families and improving child wellbeing, through advocacy for fathers in the life of children and families. THE COMMISSION is supported by the Administration for Children and Families, U.S. Department of Health & Human Services, Region III Office.